It is well known that light with circular polarization carries spin angular momentum of ± ħ per photon. However, we will show that light can carry orbital angular momentum (OAM) as well if one imparts an azimuthal phase to the light and this can be ± lħ per photon, where l is an integer. We will discuss methods to generate light beams with OAM in the lab and show their advantage in fibre and free-space communication. Before talking about applications of OAM states of light in quantum communication, we will discuss entanglement and how one generates entangled photons and single photons in the laboratory. We will highlight the security guaranteed against eavesdropping when one uses quantum states of light such as single photons and entangled photons for communication. We will end our discussion with an aim to use OAM of light for quantum space communication along with current status of the field. R.P. Singh did his M.Sc. from Allahabad University and Ph.D. from Jawaharlal Nehru University, New Delhi. After completing his Ph.D., he joined Prof. G.S. 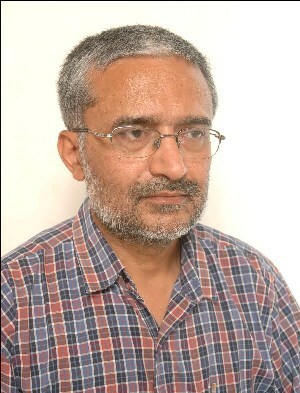 Agarwal as a post doctoral fellow at University of Hyderabad and later as a faculty at Physical Research Laboratory, Ahmedabad. His areas of research include light scattering, phase singularities of light, nonlinear optics, quantum optics and quantum information.